Astoria Sunday Market features up to 200 vendors each week offering locally-made products that have been hand-crafted, grown, created or gathered by the farmers, craftspeople and artisans featured each week. In addition, the Market has a lively food court with regional entertainment making this the gathering place each Sunday for locals and visitors to the region. Located on 12th Street in historic downtown Astoria. Come join in the fun, food, and good times every summer Saturday, at the corner of Laurel and 2nd street in downtown Tillamook. We encourage all our vendors to offer foods and goods that are locally grown and processed. In front of the courthouse on Laurel & 2nd Street. Experience the tastes and talents of The Central Oregon Coast. The Lincoln City Farmers Market offers fruits, flowers, vegetables, eggs, nursery plants, baked goods, hot food, jewelry, clothing, artisan crafts, and more. On the lawn of the Culture Center, 540 NE Hwy 101. Toledo’s Thursday Market is sure to please. Produce, plants, baked goods and crafts are sold by local vendors in the two public parking lots on Main Street. Merchants and residents have sidewalk sales up and down Main Street as well. In addition to fresh fruit and vegetables there will be a booth with fresh eggs and meats. Included from the crafters will be items from handmade pottery to jewelry. Located on the boardwalk of the Port of Siuslaw, next to Old Town. Offering two days of fresh food and fun. Featuring fresh fruits and vegetables, homemade jams, jelly and candy. Enjoy handmade arts and crafts too. Downtown Coos Bay. A Selection of fruits, vegetables, organic food, local specialties and crafts. Located at 250 1st St. SW, in Fishery Building. 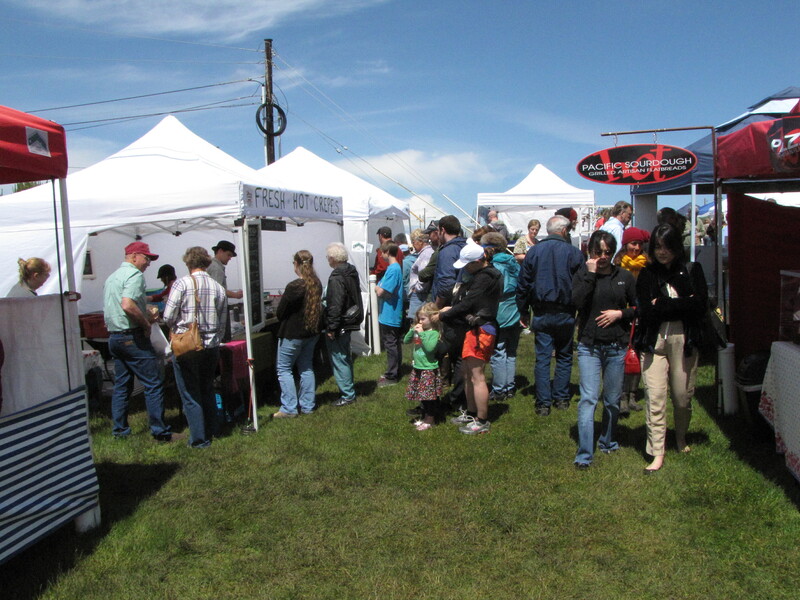 The Port Orford Farmers’ Market is all about finding a venue for the bounty of North Curry County to be shared with residents and visitors to Port Orford! Located in the Redfish Restaurant / Hawthorne Gallery patio with overflow in the Coast Candle Parking Lot, just across from the Port Orford Visitors’ Center and Battle Rock.